Contractors… Is Your Insurance Meeting Your Contractual Obligations? | Harry Kelleher & Co., Inc. Whether you are an artisan contractor (i.e. a plumber, electrician, carpentry, HVAC professional, etc.) or a general contractor, your contracts typically include specific insurance contractual obligations. If you are unclear about the terms of a contract, misunderstand the insurance requirements or don’t have coverage for what is required, you can easily find yourself in breach of contract. Contractual obligations can vary widely from contract to contract. Typically all contracts require the purchase of general liability, auto liability and employers liability/workers compensation. What can vary is the requirement for other types of coverage such as umbrella liability, professional liability and pollution liability. In addition, contracts often stipulate the limit of coverage required and could be higher limits than are currently carried. In addition, a contract can include requirements for endorsements to the policy that, if not included, can result in sizeable additional premium to purchase. Don’t wait until after you have signed a contract to find out what’s required. 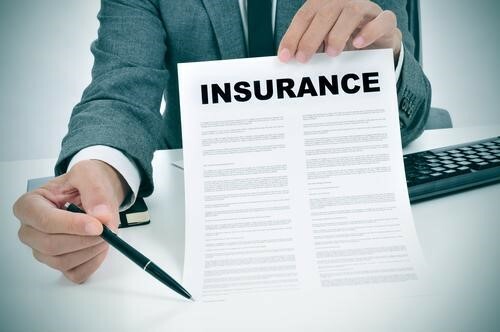 Having your insurance agent review the insurance provisions required prior to bidding on the job can end up saving you from either the loss of profitability on a project or possibly losing money on a project. It is up to you, the contractor, to be certain you meet the terms and conditions of the contractual provisions or risk putting your profits at risk. Consider too that as you grow your firm and get larger projects, contractual insurance provisions typically increase in complexity. If you are without certain levels of coverage, you may not even be considered for a job or project. It is understandable that the insurance coverage logic you use with your small to medium-sized company is in line with the “if it isn’t broken, then no need to fix it” model, but that can end up costing you. A simple illustration of this point is if you have been with the same insurance firm for ages and have not had a review of your business operations or a comparison of other insurance carrier options that may be available. This could result in you paying higher premiums or not getting the broadest coverage available in the market place. Have you met with your agent lately to review your coverage needs along with your contractual obligations to make sure that not only are you getting competitive pricing but also that you are getting broad coverage to meet your needs and obligations? If the answer to this question is NO, get in touch with Harry Kelleher & Co. We are an independent insurance agency servicing the Greater New Orleans area representing a wide array of insurance carriers. We would be happy to review your current insurance program. It is always our goal to educate clients about their options and about the risks of not meeting the right levels of coverage. We would be happy to review your current insurance program and give you the answers you may need.